As Sony announced the launch of the PS4 in New York’s Manhattan Center, hearing about the lifelike graphics, processing power, and next gen gaming experience was all very interesting, but all we wanted to know was, what streaming services would be available? 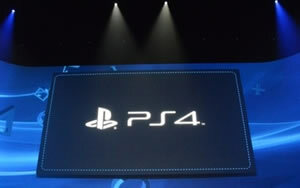 Sony were very coy about the PS4, not revealing a price or even showing the console (does it even really exist?). But we know it will launch this Christmas and we know it will feature internet streaming services from the likes of Netflix, Hulu Plus, Crackle, Vudu, Epix, and Amazon Instant. The new console will be a far superior spec to the current leading consoles, the PlayStation 3 and Xbox 360, and will be launched at a similar time to the latest incarnation of the Xbox expected to be revealed at the E3 Show in June. Last year Sony bought Gaikai, a company who will bring cloud based gaming to the console which are streamed via the internet, and can also be used to wirelessly send games to the handheld Sony Vita console. This same technology could also bring better and faster instant streaming to the console. What is the future of TV – 3D or Super Hi-Vision?